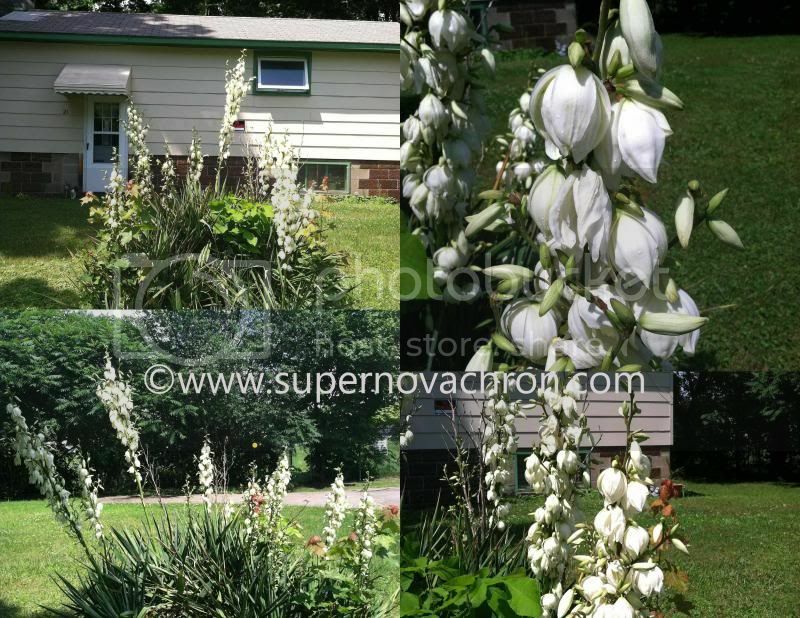 It was summer last year that finally the Yucca plant in front of our yard blooms like crazy. I’ve never seen this plant blooming this so many flowers before; well of course, last year was the first year of our life in the new home. It was one beautiful summer afternoon when I took my son outside to ride on his bike in the dead end street. I feel safer as our house is at the dead end and I can tell when there is a car coming too. Anyways, I’ve noticed this awesome plant outside and it has many flowers on it. I don’t smell any fragrance though the way the flower blooms were just wonderful to look at. I took a nice picture for memories as my husband decides to get rid of this wild plant in the front yard. Maybe he will replant, but not as bushy as this one here. I like the smell of yucca plant.